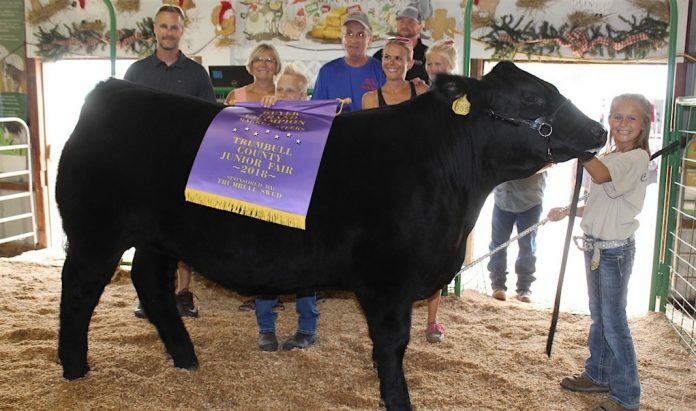 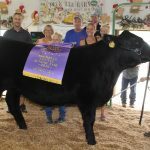 Grand champion steer at the Trumbull County Fair. 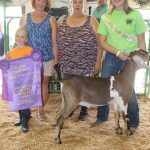 Logan Easterday sold his 42-pound grand champion carcass goat for $10.50 a pound to Max and Joyce Dade, of Camelot Therapeutic Center. 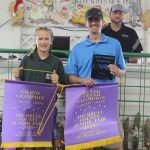 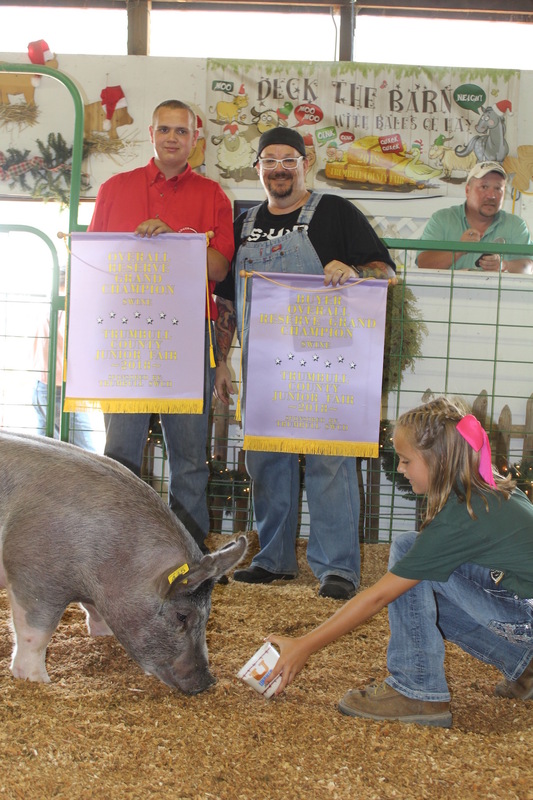 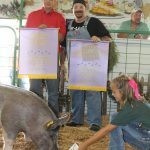 Ella Nevinski sold her 171-pound grand champion carcass hog for $3 a pound to Dennis Benton, of the Mint Dental Team. 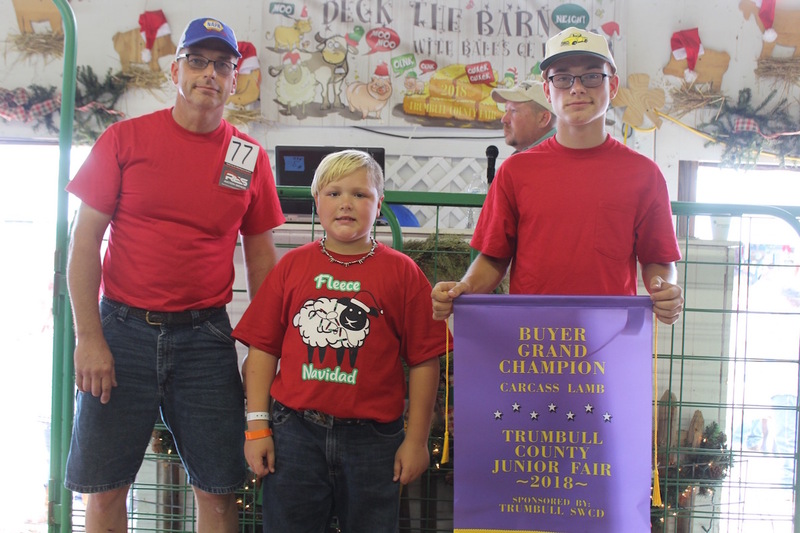 Mason Coelho sold his 28-pound grand champion carcass lamb for $17 a pound to Bryan and Caleb Carlson, representing BC Automotive. 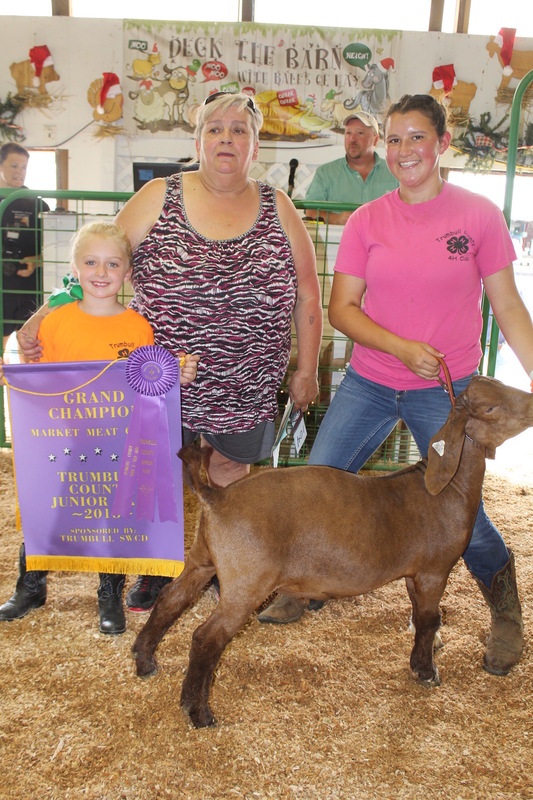 Courtney Hubbard sold her 92-pound grand champion dairy goat for $13 a pound to Grandmothers Who care, represented by Deb Jones (left) and Cathy Hogue. 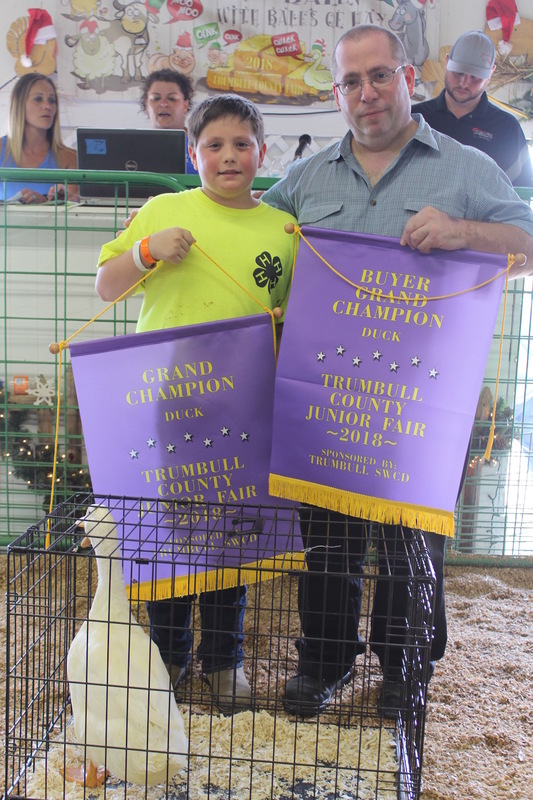 Jamie Lewis held the banner. 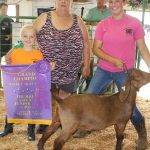 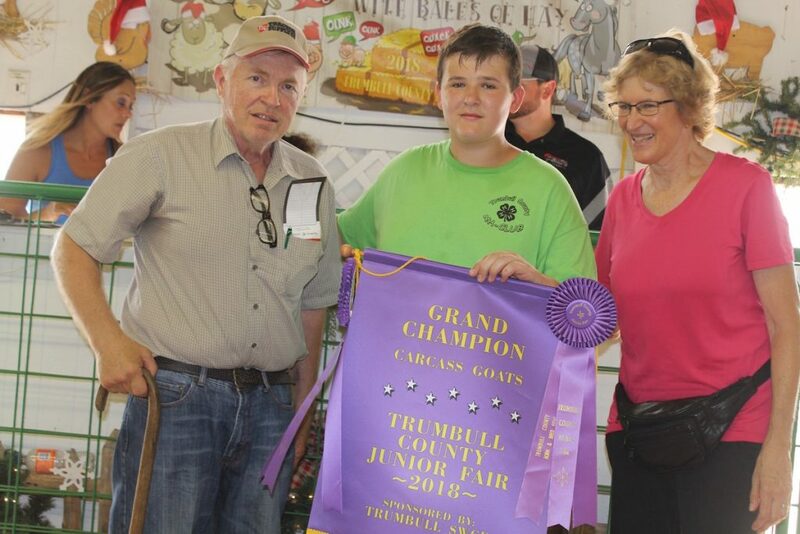 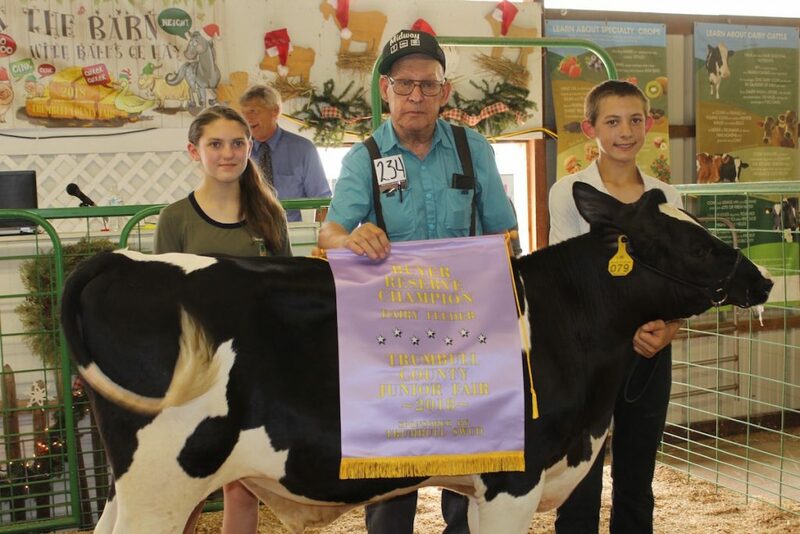 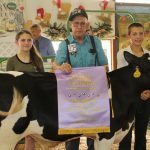 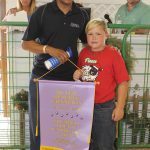 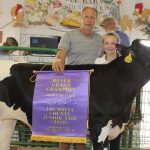 Nya Johnson sold her 92-pound grand champion market goat for $13 a pound to Cathy Hogue, of Grandmothers Who Care, with Jamie Lewis holding the banner. 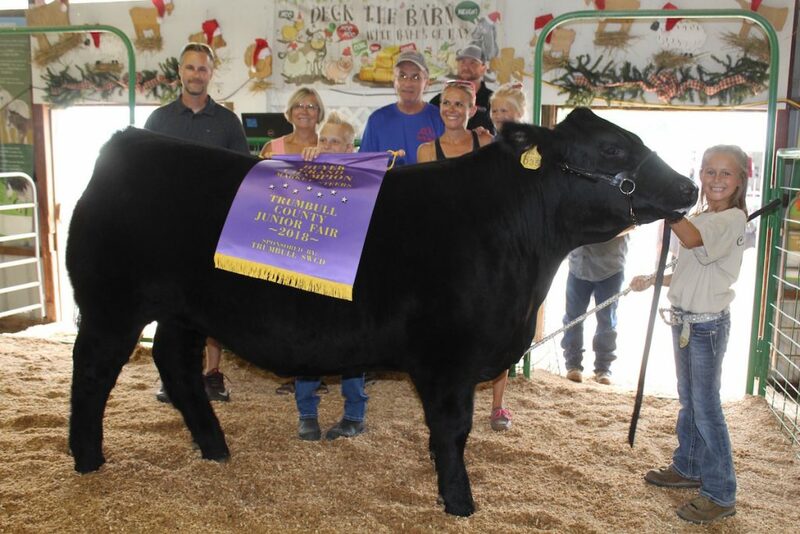 Anistyn Williams sold her 1,282-pound grand champion steer for $3.50 a pound to Ralph and Lois Shelton, of Amsoil. 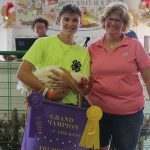 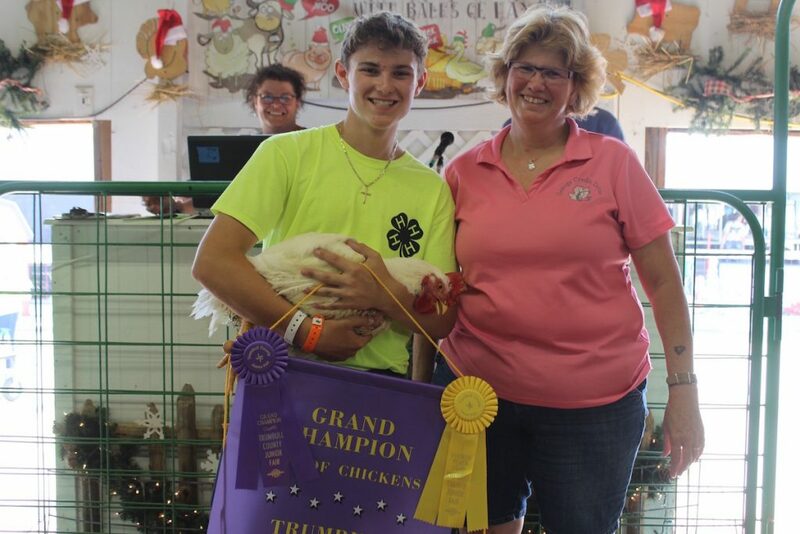 Logan Nott sold his 22.5-pound grand champion pen of chickens for $14 a pound to Lisa Briggs, of Geauga Credit Union. 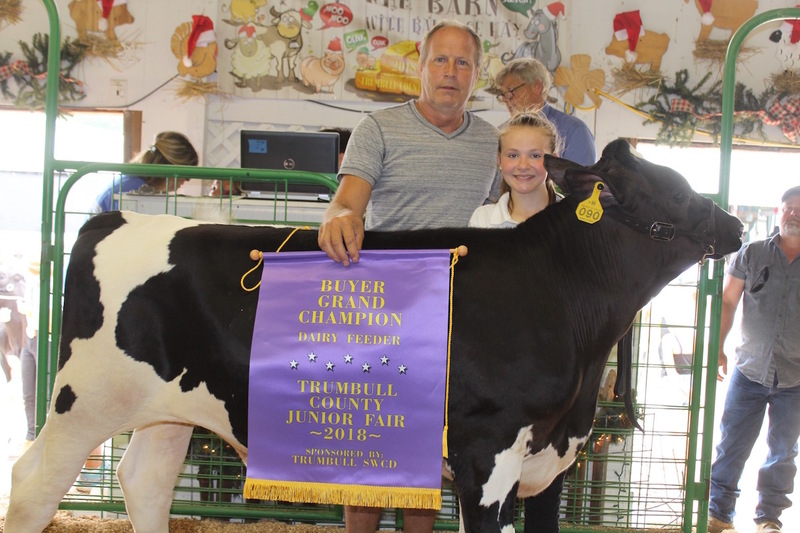 Elizabeth Smallsreed sold her 580-pound grand champion dairy feeder for $1.60 a pound to Steve Gilanyi, of Gilanyi Farms. 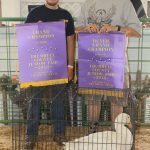 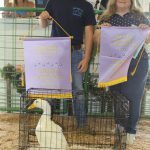 Drake McFall sold his 10.2-pound grand champion market duck for $15 a pound to Sebastiano Joseph Particone. 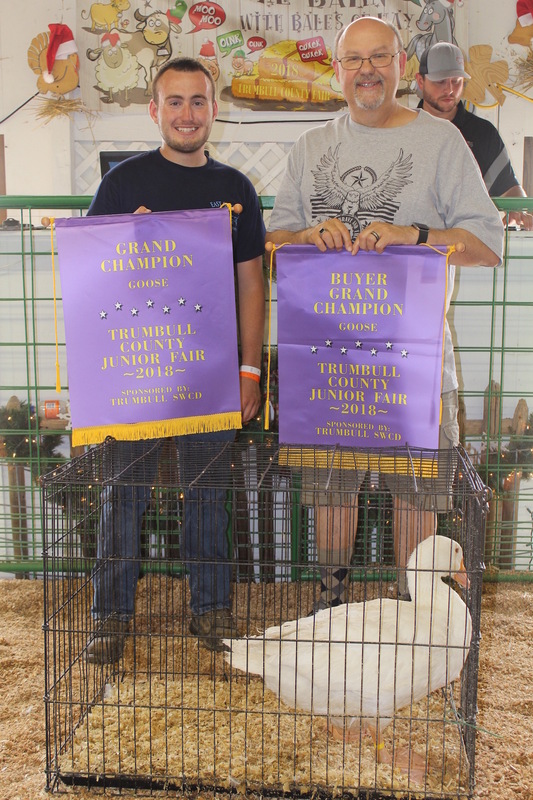 Kolton Baer sold his 12.8-pound grand champion market geese for $15 a pound to John Kroner of the Review Newspapers. 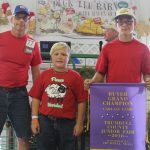 Hunter Griffis sold his 269-pound grand champion market hog for $15.50 a pound to Paul Hovis, of Hovis Tire. 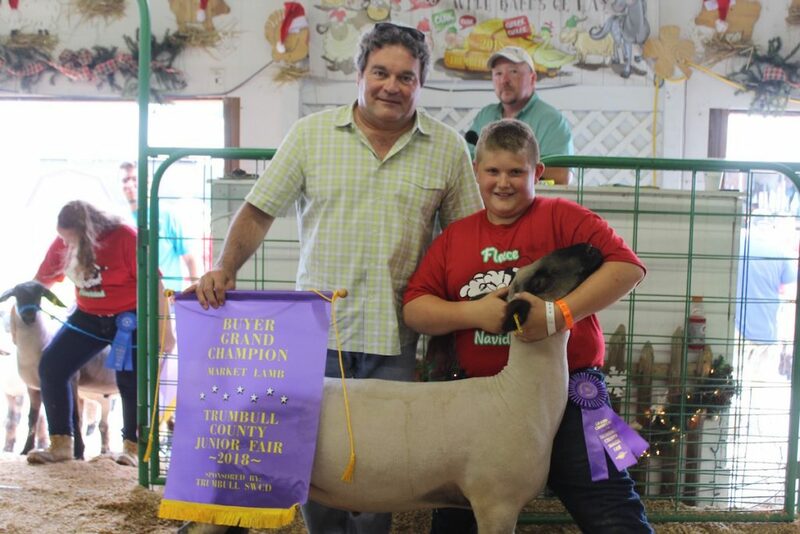 Justin Hall sold his 150-pound grand champion market lamb for $20 a pound to Bob Thompson, of Governor Insurance. 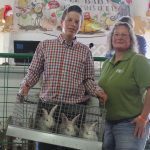 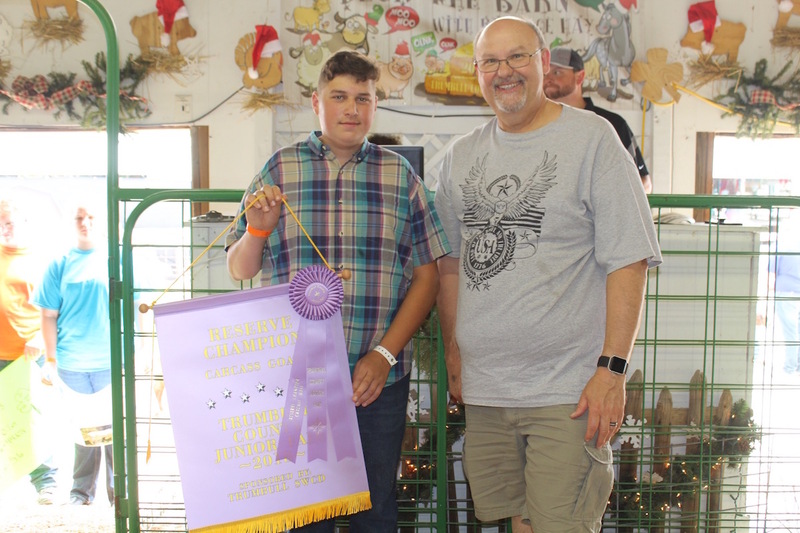 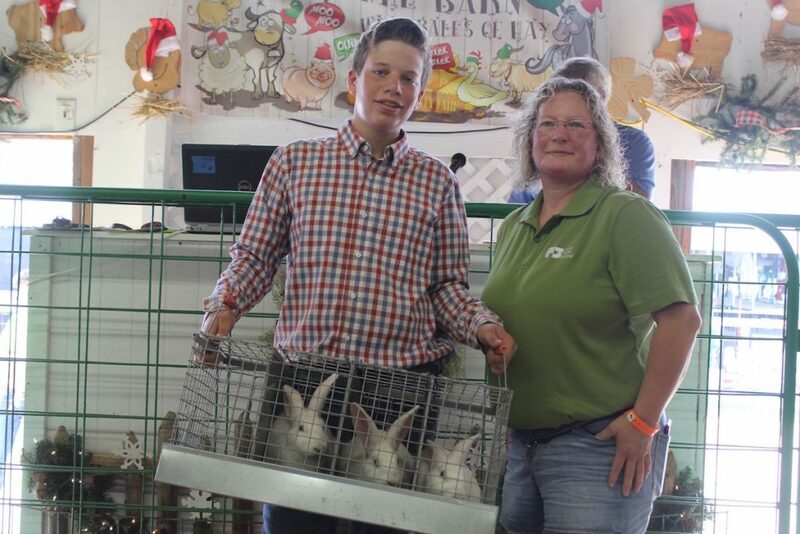 Elijah Joo sold his 13.20-pound grand champion pen of rabbits for $10 a pound go Richard Houk of Green & Golden Farm, represented by Marsha Stanhope. 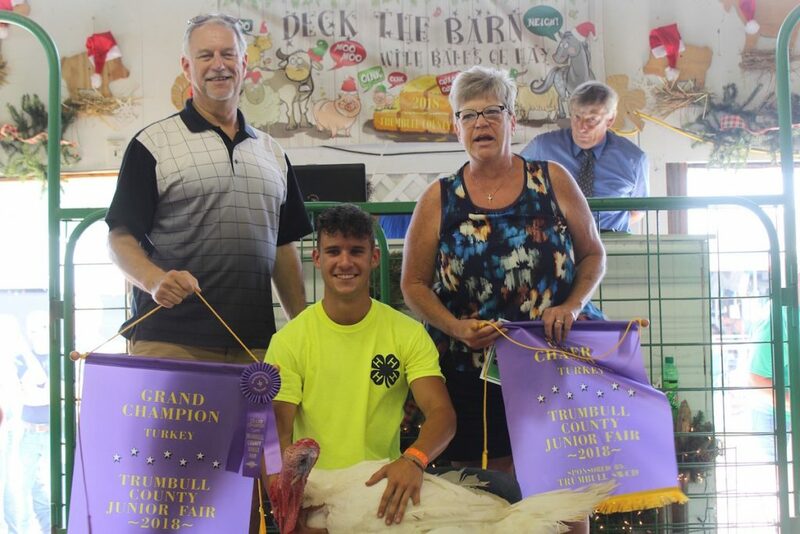 Nathan Omerzo sold his 44.3-pound grand champion turkey for $35 a pound, to Pete and Sherry Leasome, of Noble Reynolds Insurance. 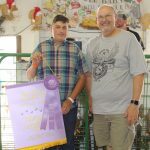 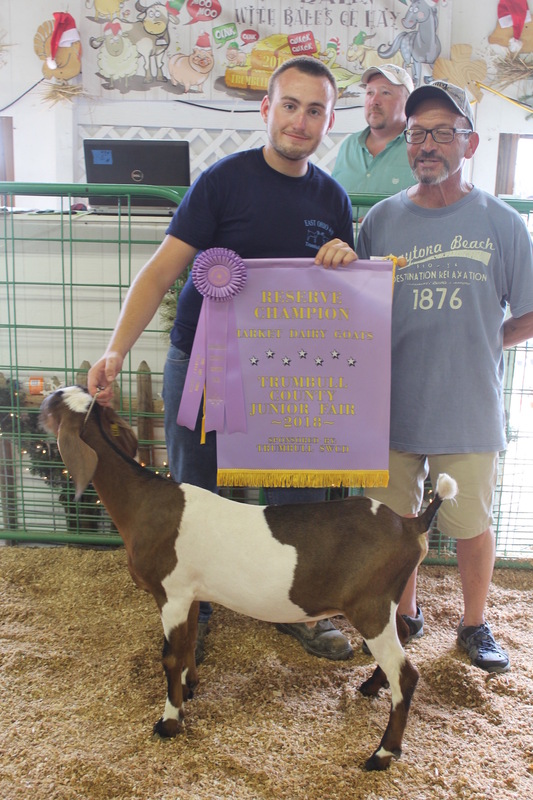 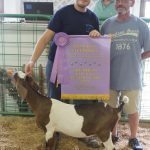 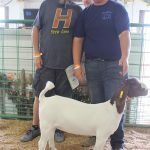 Corey Vanderslice sold his 25-pound reserve champion carcass goat for $4.50 a pound to John Kroner of the Review Newspapers. 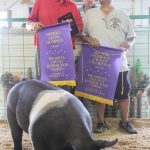 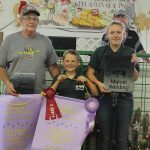 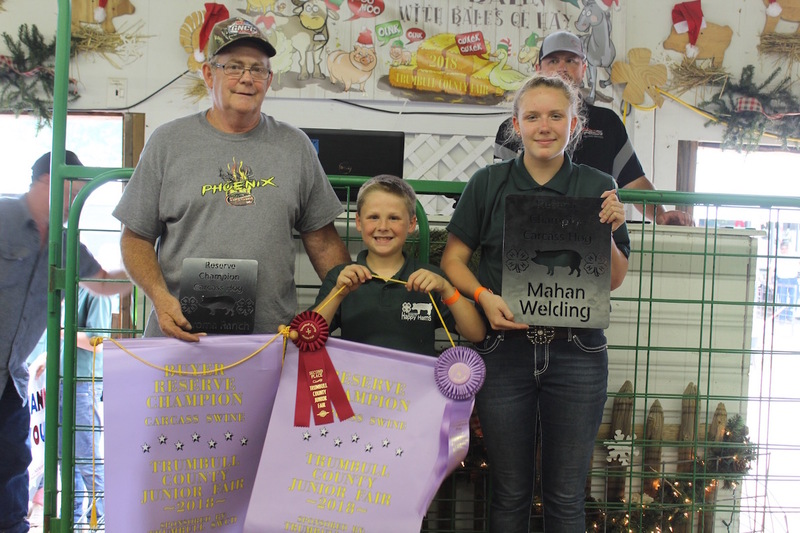 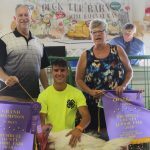 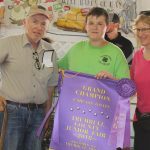 Ethan Kimak (center) sold his 166-pound reserve champion carcass hog for $3.50 a pound to Larry and Lavonne Root, with Ariel Kimak (right). 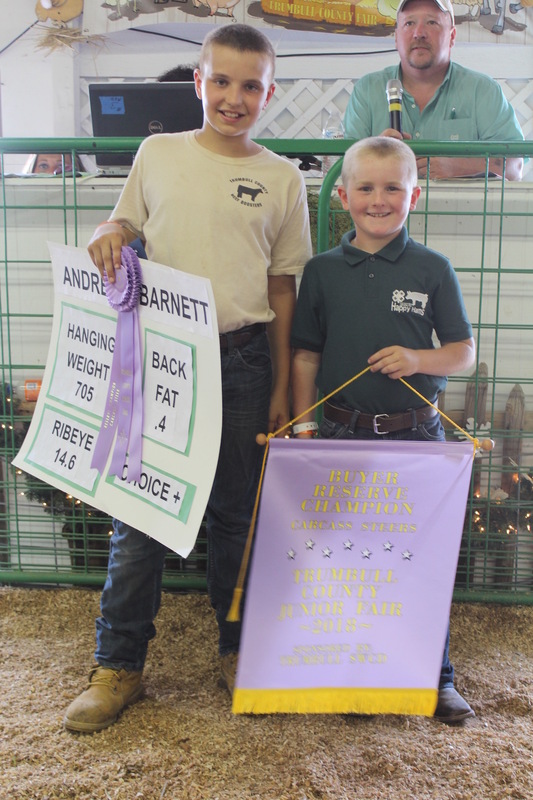 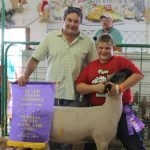 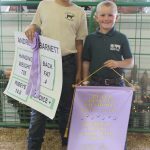 Mason Coelho sold his 34-pound reserve champion carcass lamb for $17 a pound to Rob Boulware, for Highland Field Services. Andrew Barnett sold his 705-pound reserve champion carcass steer for $7 a pound to W.I. Miller & Sons, represented by Hudson Miller. 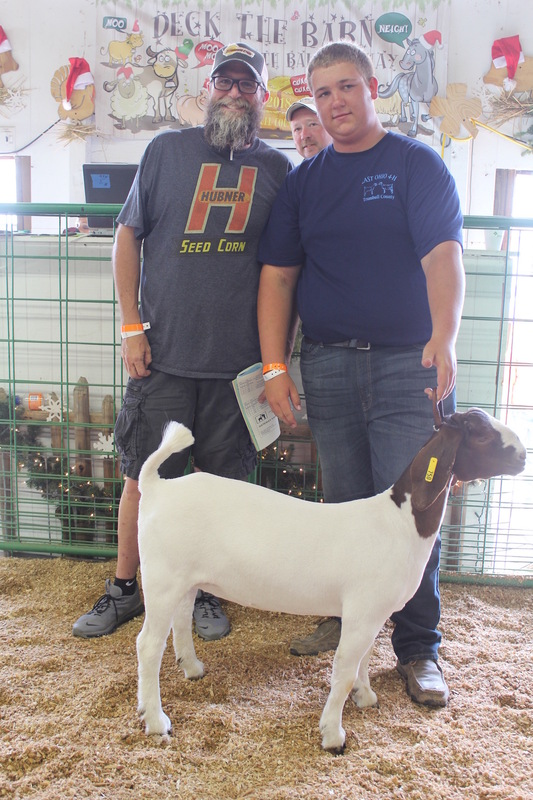 Kolton Baer sold his 68-pound reserve champion dairy goat for $5 a pound to Tom Levak, for Mark Thomas Ford. 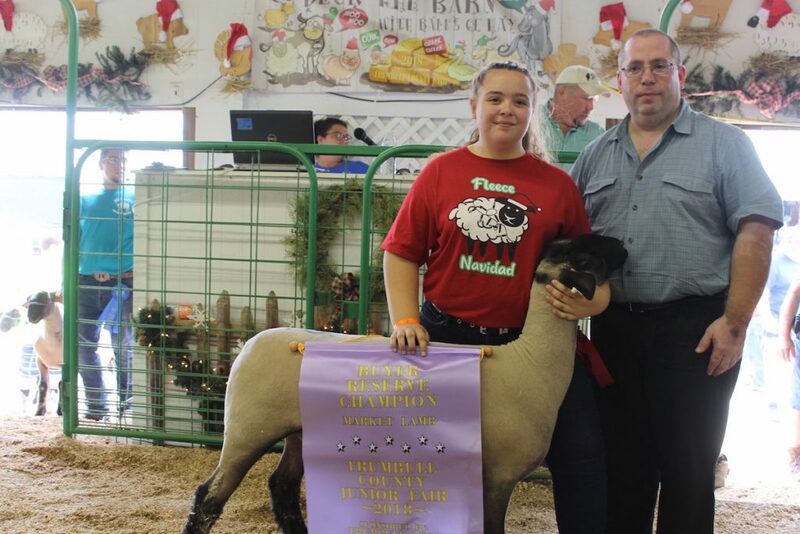 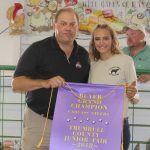 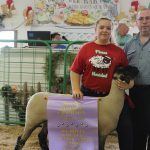 Laura Perticone sold her 155-pound reserve champion market lamb for $11 a pound to Sebastiano Joseph Perticone. Tate Smith sold his 84-pound reserve champion market goat for $19.50 a pound to Jim Brown Seed Sales, represented by Mike Rozzo. 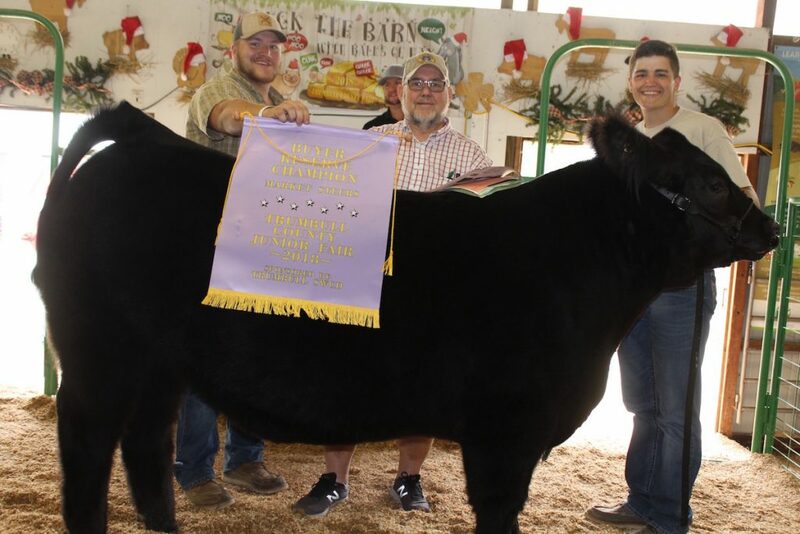 Luke Culp sold his 1,384-pound reserve champion steer for $4 a pound to Allen Geist, of Geist Associates. 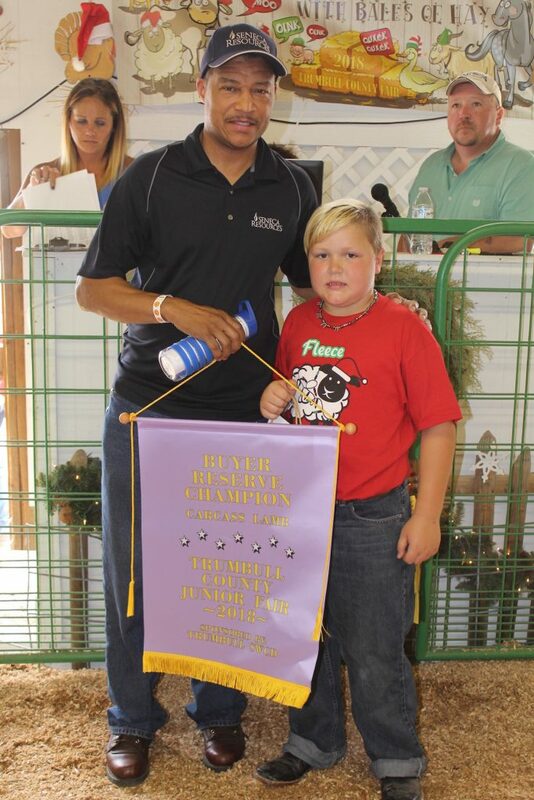 Holding the banner is Logan Culp. 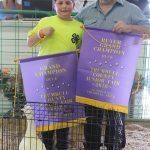 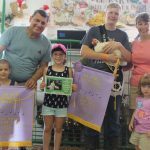 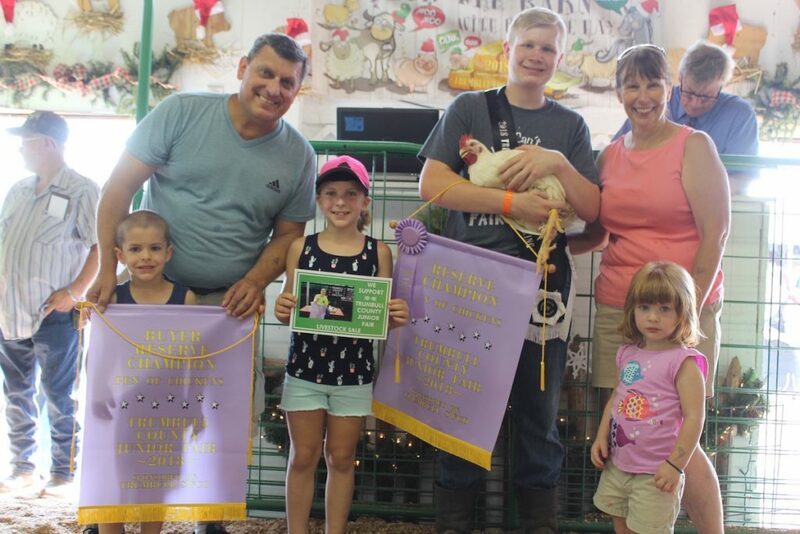 Christian Socha sold his 23.3-pound reserve champion pen of chickens for $22 a pound to Rich and Debbie Lonardo, and Evan (front left), Mia and Maddison Quinlan, of Defense and Energy Systems. Grayson Moody sold his 556-pound reserve champion dairy feeder for $2.85 a pound to Jim Vins, with Drayton Willey, of Northside Farms. 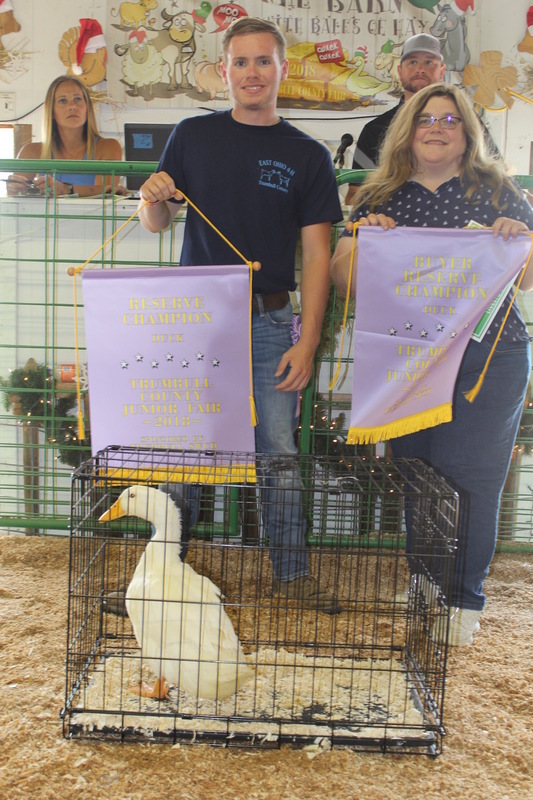 Wyatt Baer sold his 8.1-pound reserve champion market duck for $16.50 a pound to Martha Yoder for State Representative. 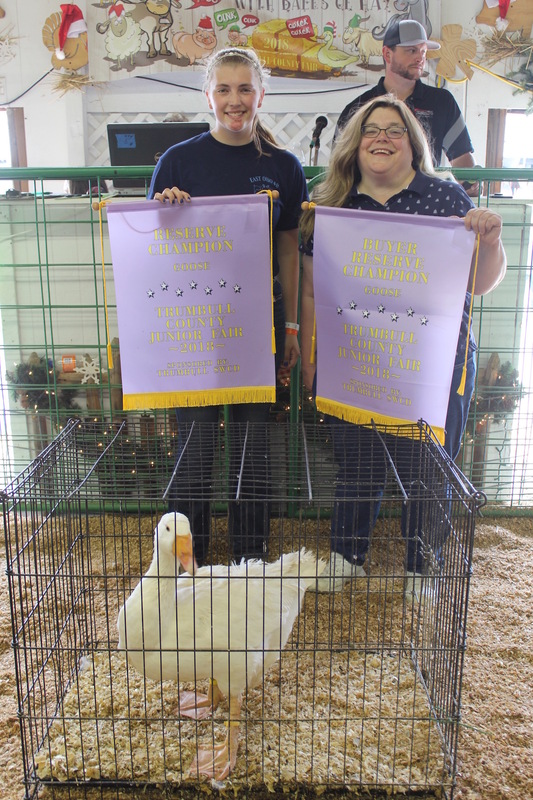 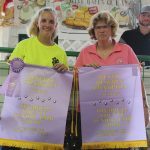 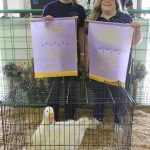 Heidi Stiffler sold her 10.5-pound reserve champion market geese for $16 a pound to Martha Yoder for State Representative. 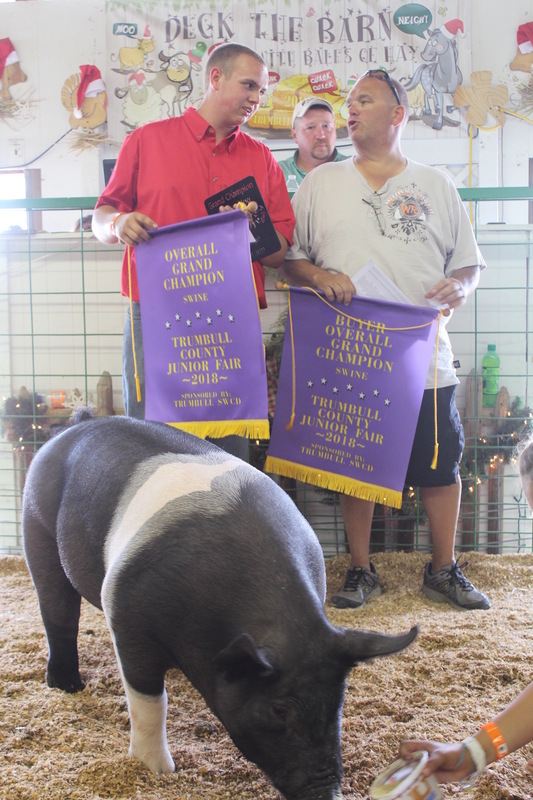 Hunter Griffis sold his 252-pound reserve champion market hog for $10 a pound to Erik Hoover, of Cockeye BBQ. 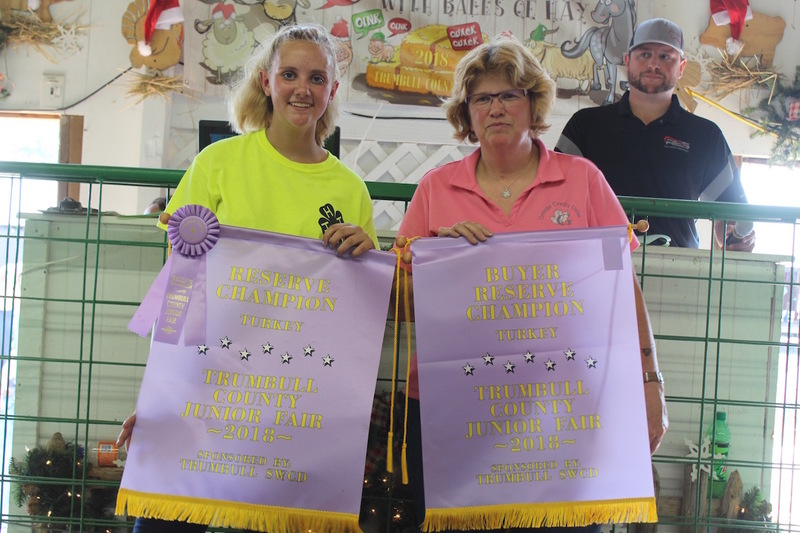 Allison Rowe sold her 44.3-pound reserve champion turkey for $16 a pound to Lisa Briggs, representing Geauga Credit Union. 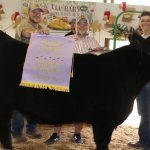 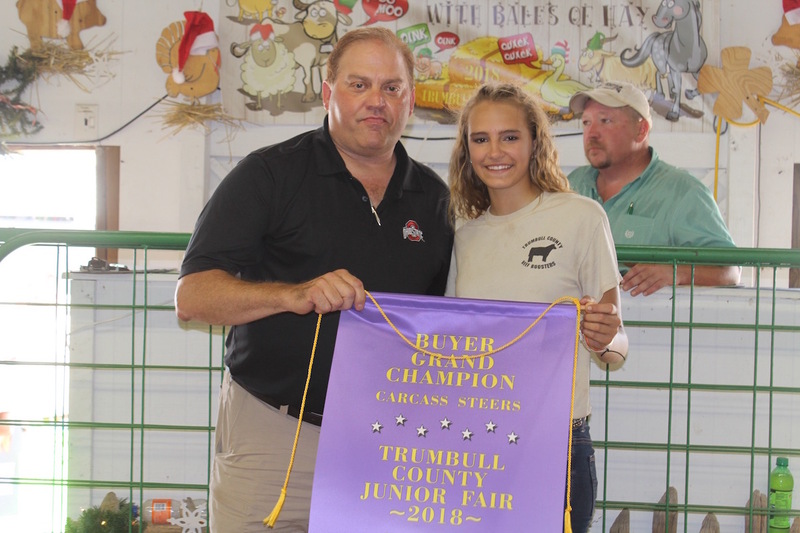 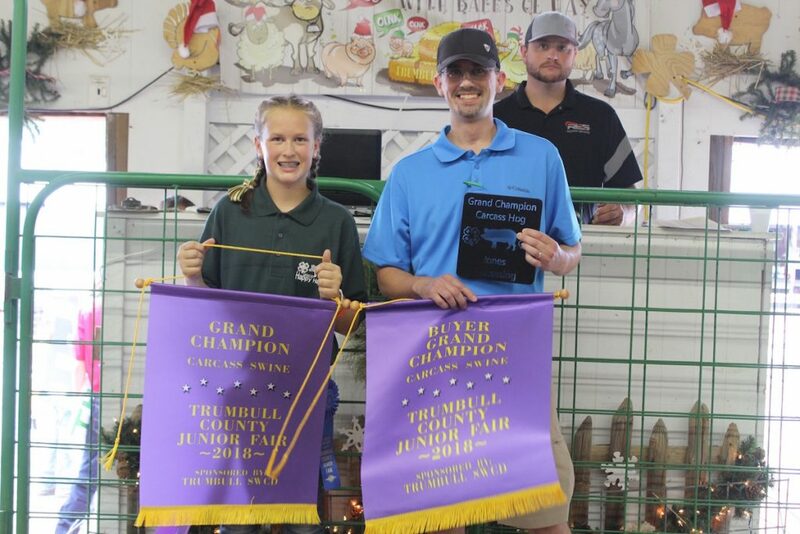 Madison Murray sold her 843-pound grand champion carcass steer for $6 a pound to Dr. Charles Moxley, of Town and Country Veterinary Hospital. 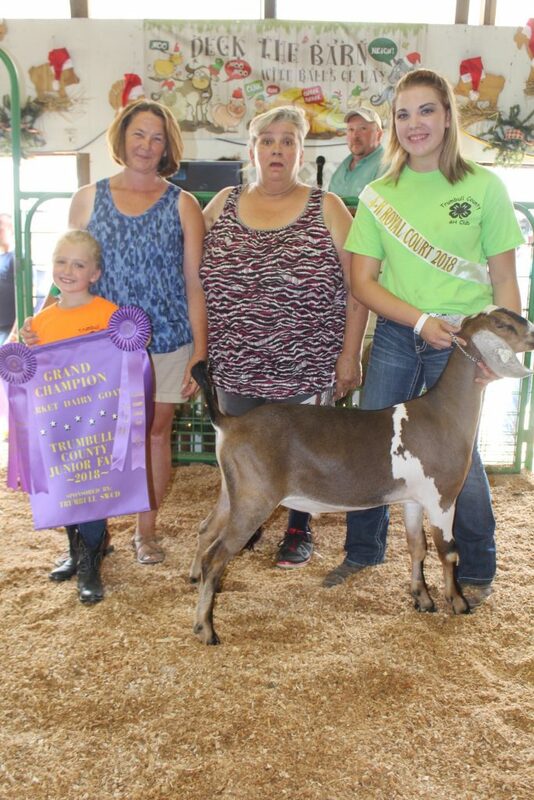 4-H ROYAL COURT: King, Cody Bartholomew; Queen, Jennifer Greskovich; Prince, Cody Turon; Princess, Milenka Moody.